Interactive Vocabulary Crossword Puzzles: Free ESL/EFL Vocabulary and grammar interactive crossword puzzles for kids to practice English vocabulary. Use these crossword puzzles for classes or homework. Action Verbs interactive ESL/EFL Vocabulary Crossword Puzzle. Action Verbs ending with ‘ing’ interactive ESL/EFL Vocabulary Crossword Puzzle. 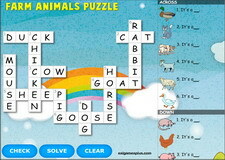 Animals on the farm interactive ESL/EFL Vocabulary Crossword Puzzle. 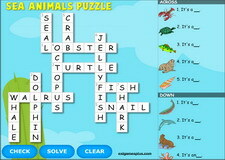 Animals in the sea interactive ESL/EFL Vocabulary Crossword Puzzle. 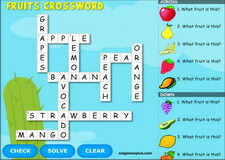 Fruits vocabulary interactive ESL/EFL Vocabulary Crossword Puzzle. 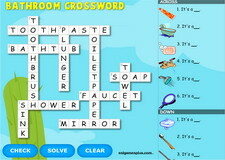 Bathroom vocabulary interactive ESL/EFL Vocabulary Crossword Puzzle. 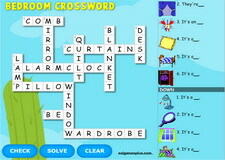 Bedroom vocabulary interactive ESL/EFL Vocabulary Crossword Puzzle. Body parts (anatomy) vocabulary interactive ESL/EFL Vocabulary Crossword Puzzle. 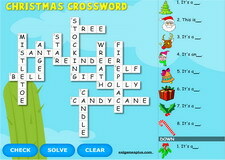 Christmas vocabulary interactive ESL/EFL Vocabulary Crossword Puzzle. 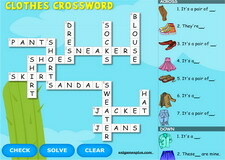 Clothes vocabulary interactive ESL/EFL Vocabulary Crossword Puzzle. 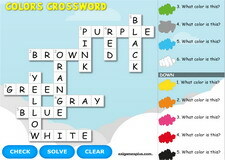 Colors vocabulary interactive ESL/EFL Vocabulary Crossword Puzzle. Countries Vocabulary interactive ESL/EFL Vocabulary Crossword Puzzle. More Countries Vocabulary interactive ESL/EFL Vocabulary Crossword Puzzle. 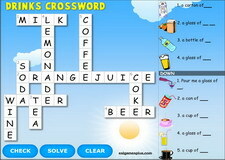 Drinks Vocabulary interactive ESL/EFL Vocabulary Crossword Puzzle. 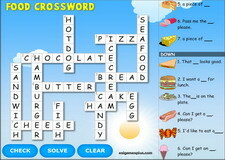 Food Vocabulary interactive ESL/EFL Vocabulary Crossword Puzzle. 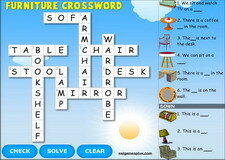 Furniture Vocabulary interactive ESL/EFL Vocabulary Crossword Puzzle. Halloween Monsters Vocabulary interactive ESL/EFL Vocabulary Crossword Puzzle. Halloween Words interactive ESL/EFL Vocabulary Crossword Puzzle. 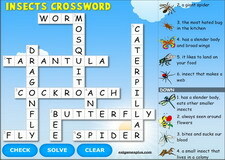 Insects vocabulary interactive ESL/EFL Vocabulary Crossword Puzzle. 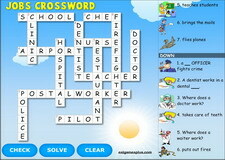 Jobs and Occupations interactive ESL/EFL Vocabulary Crossword Puzzle. 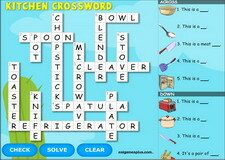 Kitchen Vocabulary interactive ESL/EFL Vocabulary Crossword Puzzle. 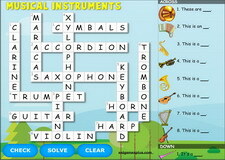 Musical Instruments interactive ESL/EFL Vocabulary Crossword Puzzle. 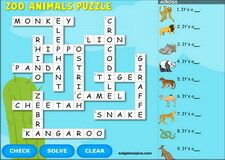 Nature Vocabulary interactive ESL/EFL Vocabulary Crossword Puzzle. Numbers Spelling interactive ESL/EFL Vocabulary Crossword Puzzle. 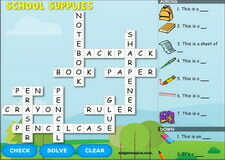 School Supplies Vocabulary interactive ESL/EFL Vocabulary Crossword Puzzle. 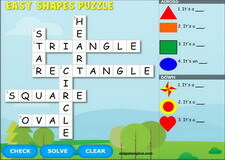 Shapes Vocabulary interactive ESL/EFL Vocabulary Crossword Puzzle. Sports Vocabulary interactive ESL/EFL Vocabulary Crossword Puzzle. 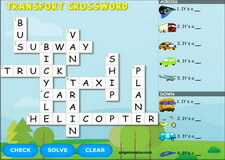 Transportation Vocabulary interactive ESL/EFL Vocabulary Crossword Puzzle. 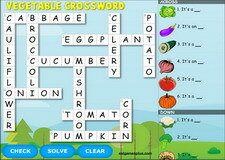 Vegetables interactive ESL/EFL Vocabulary Crossword Puzzle. 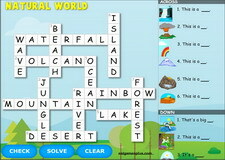 Weather Vocabulary interactive ESL/EFL Vocabulary Crossword Puzzle.